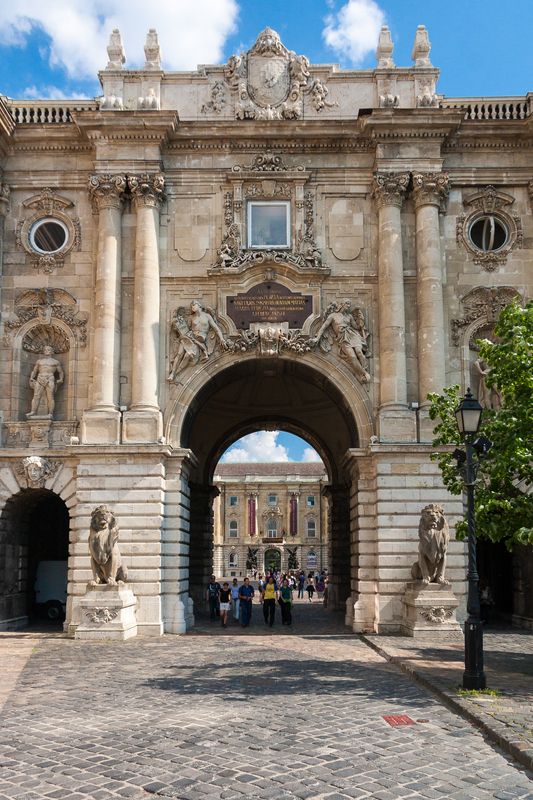 The Hungarian capital of Budapest is one of Europe’s most underrated cities. Budapest is described as the “Little Paris of Middle Europe” due to its beauty, charm, and 1,000-year-old culture. The city demands to be savored slowly over a period of time. But for those with only a few days to explore the city, we’ve compiled a three day itinerary of Budapest. It can be difficult to plan a visit to this amazing city in such a short time; three days is the minimum that we would recommend if you want to truly have a proper taste of Budapest. 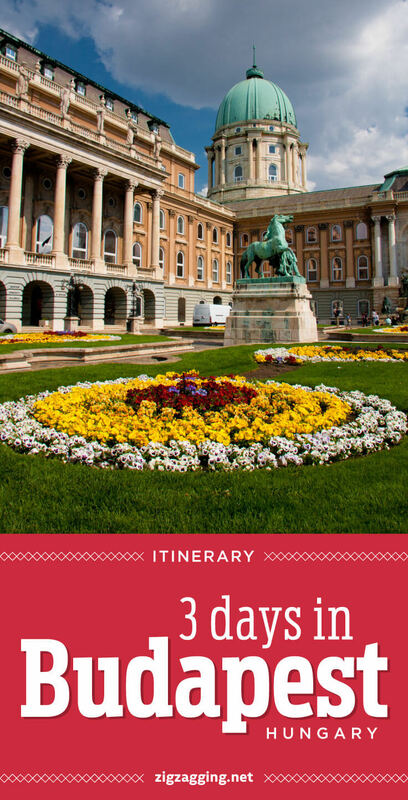 While this itinerary is not exhaustive by any means, it provides a variety of sights and experiences Budapest has to offer, including the best architecture, museums, culture, and shopping. In 1873, the city of Buda, the former capital of the Kingdom of Hungary on the west bank of the Danube River, merged with the city of Pest on the eastern side of the Danube, to become Budapest. Prior to the unification, the area had been under the rule of the Romans, the Mongols, the Ottomans, and the Hapsburgs, each having left their indelible mark on the city. 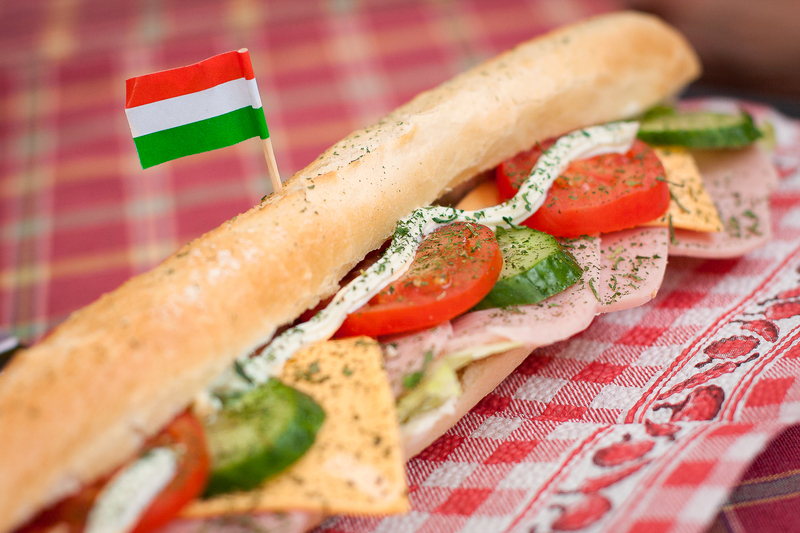 Hungary became part of Austria-Hungary in 1867, an empire that lasted 51 years and brought about great prosperity and modernization to Budapest. During World War II, Hungary paid a high price for its alliance with Nazi Germany. Just before the end of the war, Budapest suffered massive destruction, first from British and American air raids, and later by attacking Soviets during the Battle of Budapest. Much of the city has been rebuilt since then. Hungary found itself within the Soviet-controlled zone of Europe after World War II. Dissatisfied with communist rule, the Hungarians staged an uprising in 1956, which was brutally put down by Soviet tanks of the streets of Budapest. Communist dictatorship was finally released with the fall of the Iron Curtain in 1989. 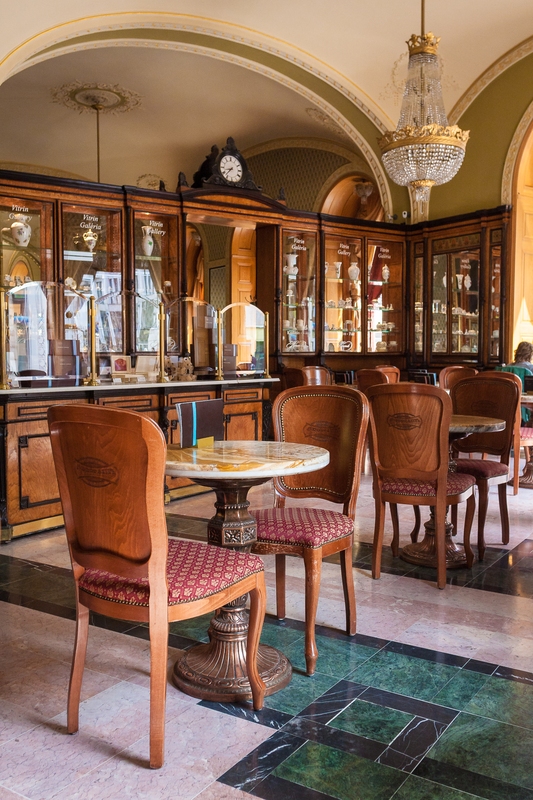 Start your morning in the Pest on the east side of the Danube. Cross over the famous Chain Bridge – the first permanent bridge over the Danube – into Buda. While the bridge was destroyed during World War II, the massive stone lions at each end survived the devastation. Once you get to the west bank of the Danube, head up to the top of the hill to the Castle District. 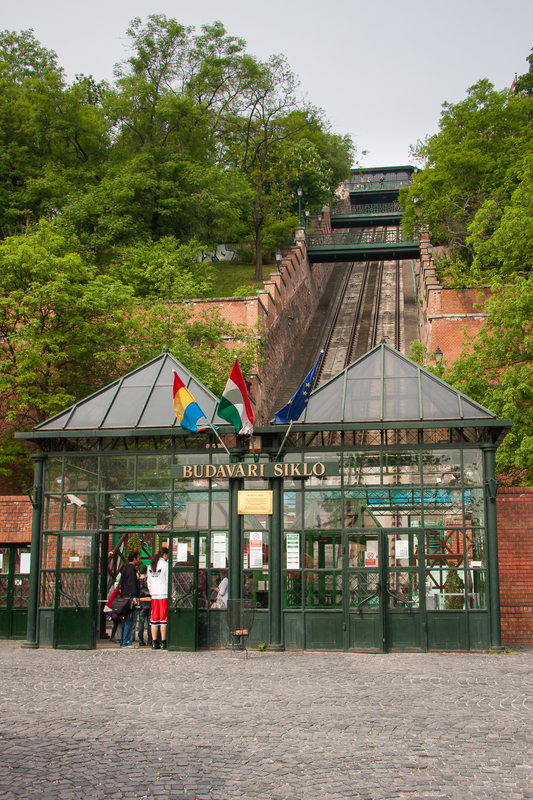 While there are several paths that lead up to the top of the hill, the traditional way up is by the Sikló funicular. The ride is short and costs more than walking, but it’s not every day that you get to ride on a 100-funicular railway. Once you get to the west bank of the Danube, head up to the top of the hill to the Castle District. There are several paths that lead up to the top of the hill, but the traditional way up is by the Sikló funicular. 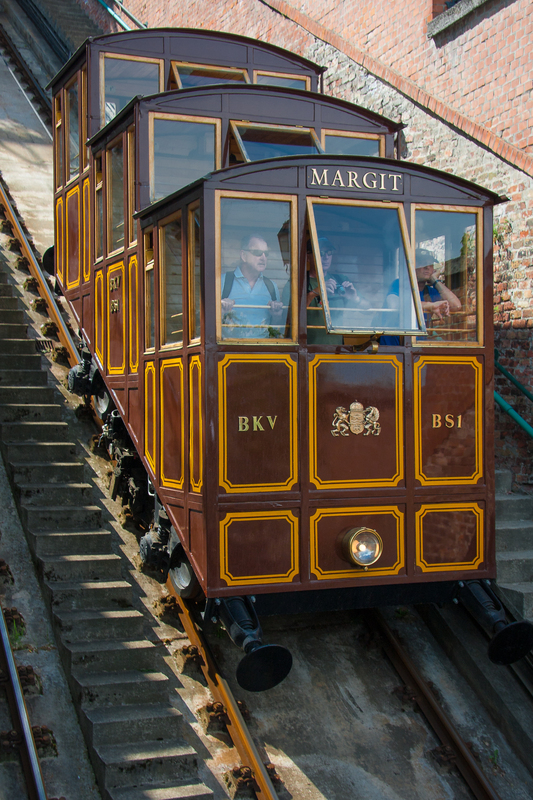 The ride is short and costs more than walking, but it’s not every day that you get to ride on a 100-year-old funicular railway. 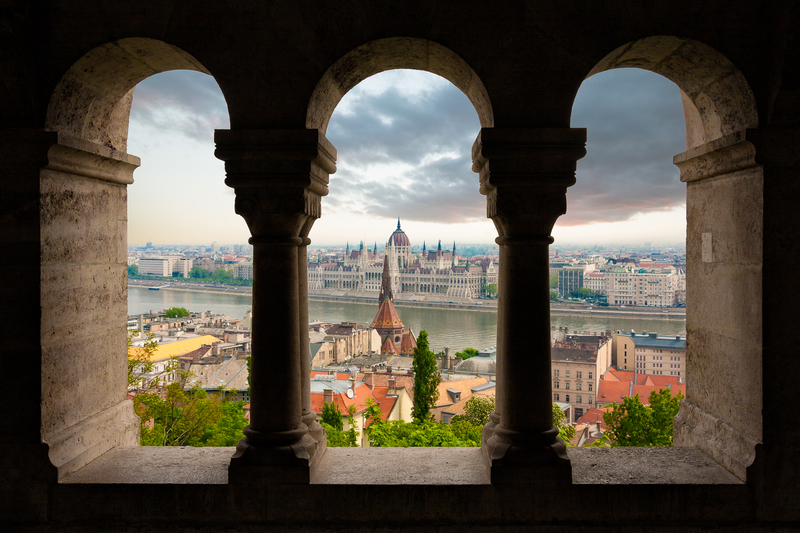 The view at the top of Buda Hill is stunning…and even more so at night. At the top of the hill, turn around and enjoy the grandeur of Budapest. This spot offers some of the best photographs of the city, and especially of the Parliament building, one of Budapest’s most symbolic buildings. We recommend coming back to this point at night to see the lights of the city reflected in the Danube River. Enter the Royal Palace through the ornamental Habsburg Gate and tour the grounds. Most of the tour of the palace is exterior, although art lovers may enjoy a stroll through the Hungarian National Gallery. 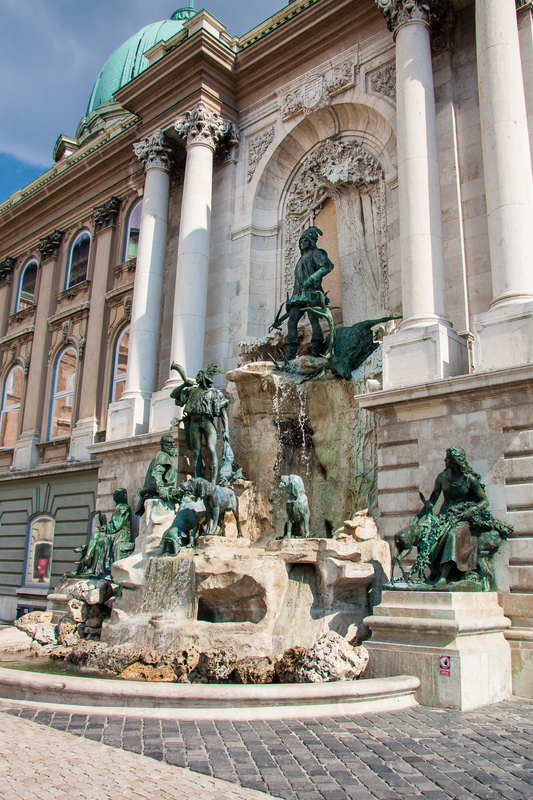 Spend some time in the courtyard admiring the elegant Mátyás Fountain. Leave the Palace and head towards Old Town. There are plenty of souvenir shops along Tárnok utca on your way. There are also several outdoor cafés throughout Old Town which offer good food at reasonable prices. Take a moment to admire the column in the center of Holy Trinity Square before entering Mátyás Church, one of the oldest and most interesting churches in Budapest. 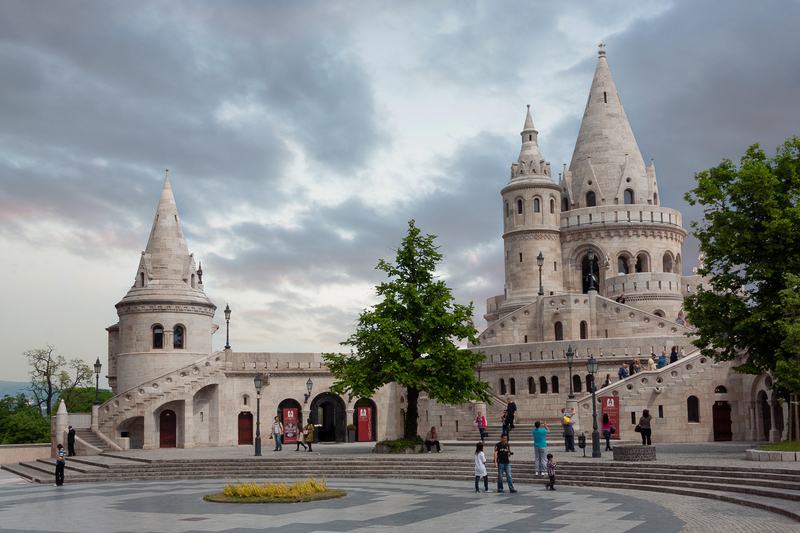 Outside of Mátyás Church lies Fisherman’s Bastion, recognizable by its fantastical conical towers. The Bastion was never a defensive structure, but rather an elaborate viewing terrace that still offers beautiful views of the city. 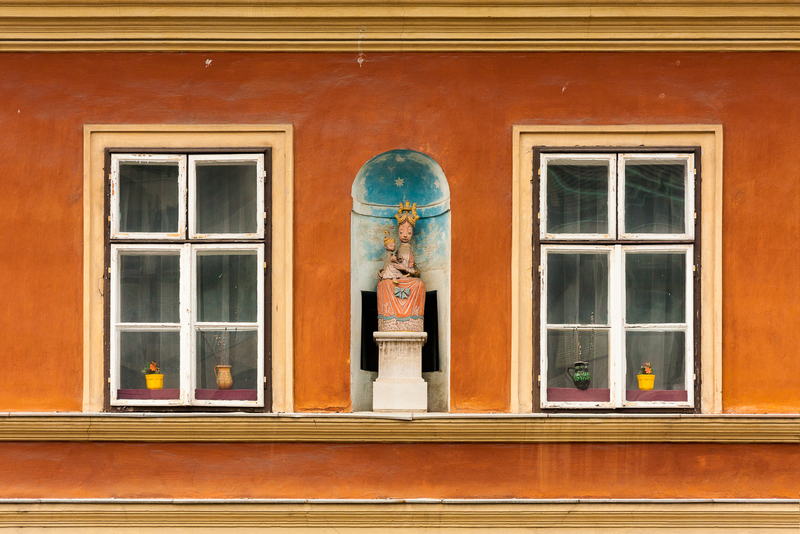 Wander back across Holy Trinity Square along Szentháromságu utca and enjoy a delicious pastry at the famous Ruszworm Café. Spend the remaining afternoon hours wandering around the streets of Old Town. 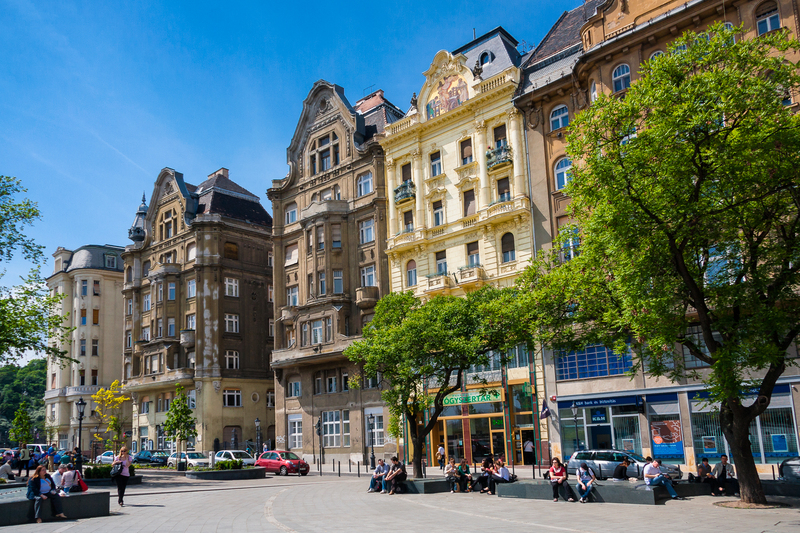 After finishing up in Old Town, those with additional energy may want to head south to Gellért Hill, one of the city’s most attractive areas. The hill is named after Bishop Gellért, who was thrown from the hill to his death in 1046 after attempting to convert the locals to Christianity. Many pathways lead through forested areas to observation areas that provide panoramic views of the city. 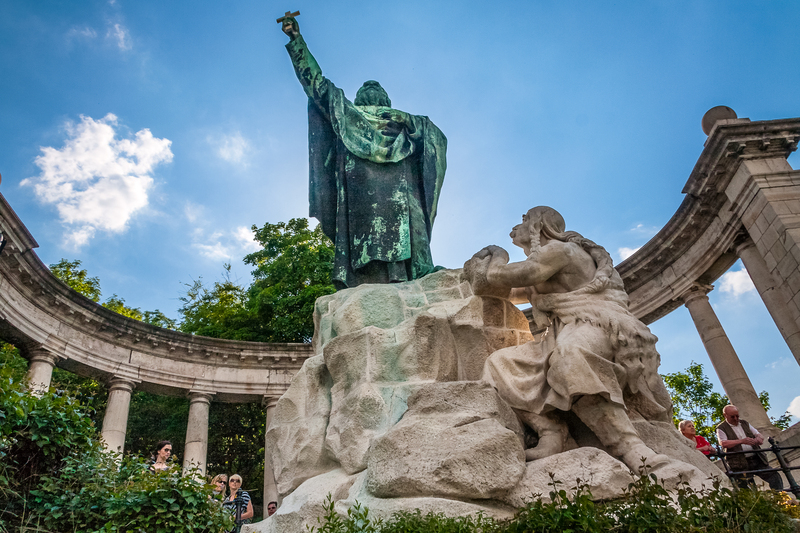 Stop by the Statue of St. Gellért on your way to the top. The highest point of Gellért Hill (460 ft / 140 m) contains the the Habsburg fortification known as the Citadel, as well as the Liberation Monument, designed to commemorate the liberation of Budapest by the Russian army in 1945. Begin your day at St. Stephen’s Basilica. 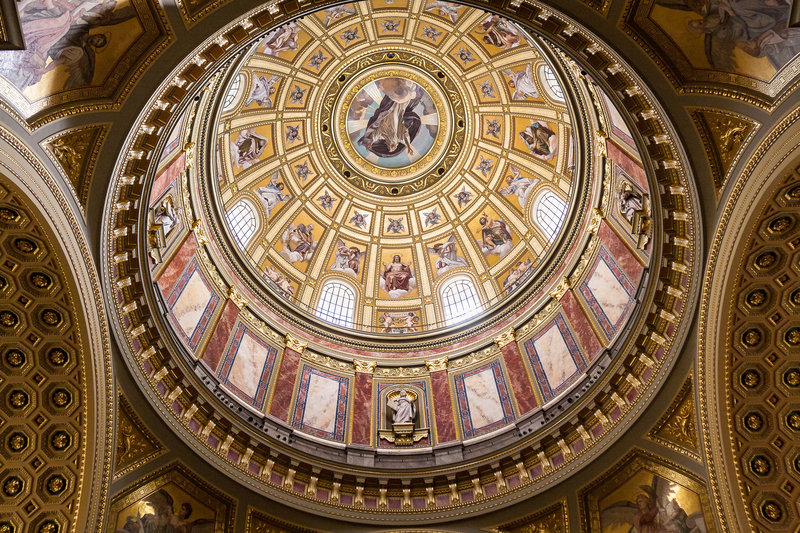 This Neo-Classical church – the largest in Budapest – is dedicated to St. Stephen, or István, the first Hungarian Christian King. Views from the dome offer commanding panoramas of the city. The Chapel of the Holy Right Hand at the rear of the church houses Hungary’s most unusual relic. 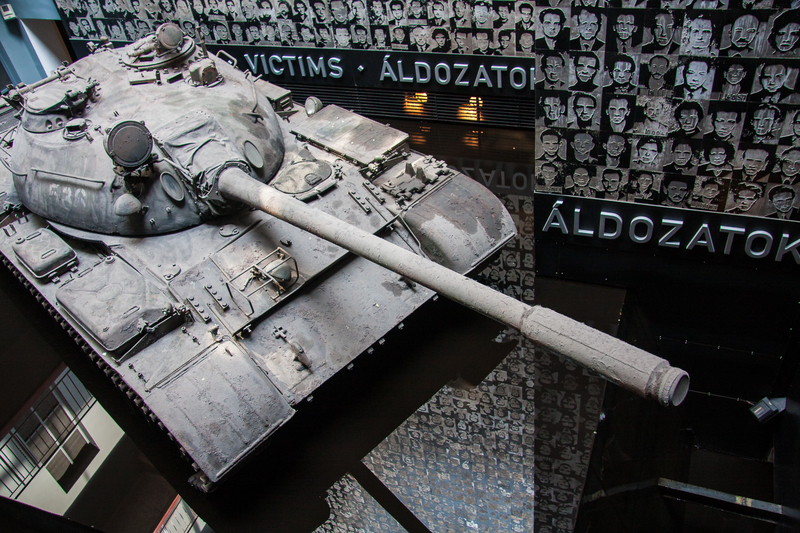 Ride the well-preserved Millennium Line metro to Vörösmarty Utca and tour the House of Terror museum. 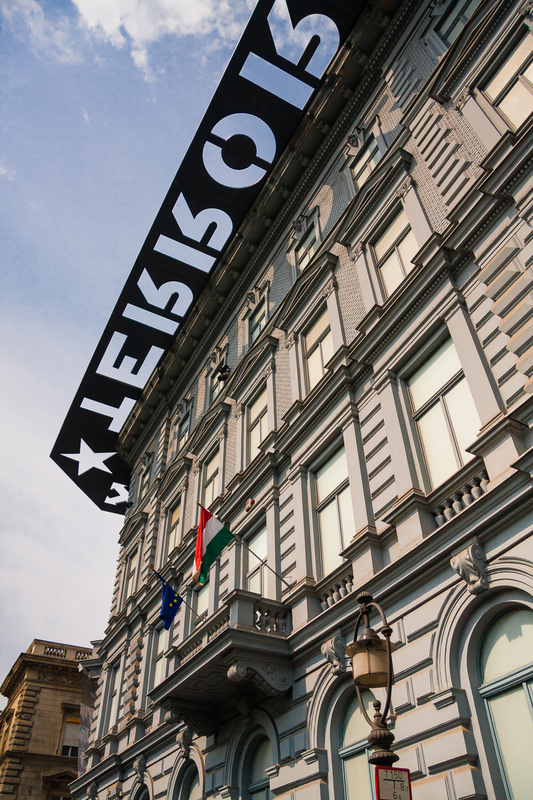 This former headquarters of both the Nazi and Communist secret police reveals the grim details of the “double occupation” of Hungary at the end of World War II. After lunch, continue on the Millennium Line—the oldest metro line in Europe—to Heroes’ Square. 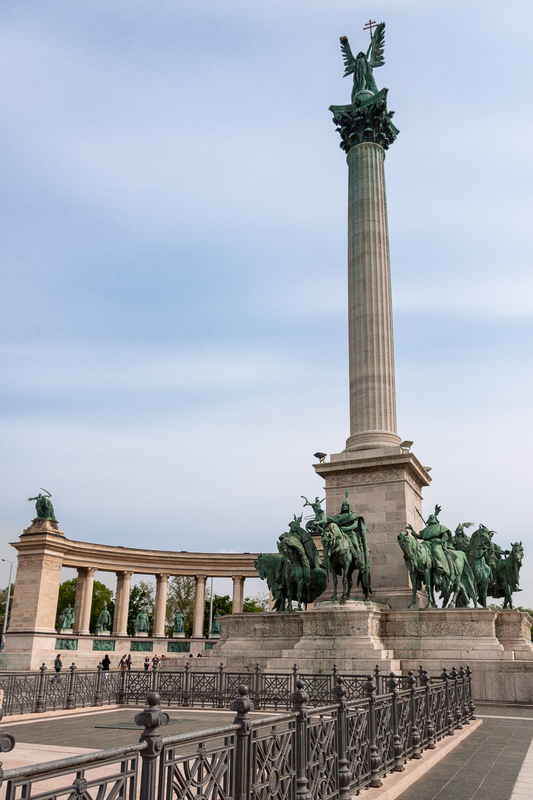 The square dominated by the central Millennium Monument, a 120 ft (36 m) column designed to commemorate Hungary’s Millennium Celebrations in 1896. 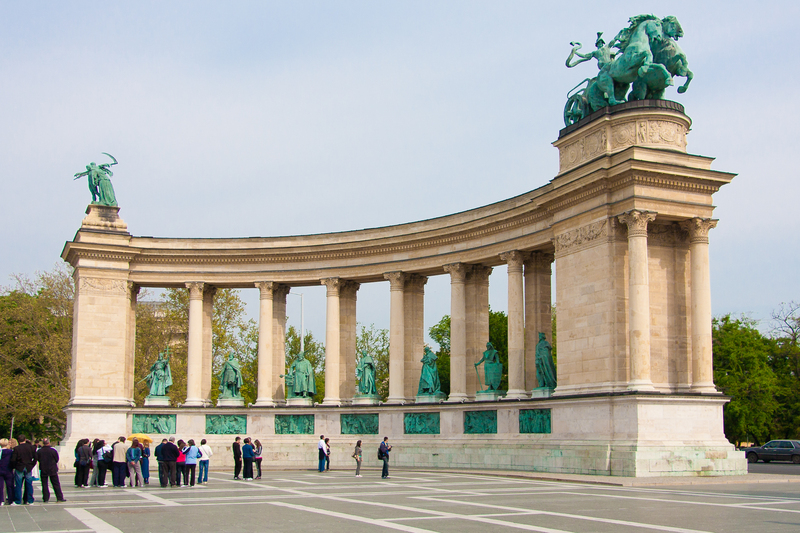 The column is flanked by two curved colonnades containing statues of great Hungarian monarchs and statesmen. On the left side of Heroes’ Square is the Museum of Fine Arts, which houses Hungary’s finest collection of foreign art. Behind Heroes’ Square lies City Park, which contains a host of attractions. The Budapest Zoo is a popular attraction for both children and adults alike. Vajdahunyad Castle, a complex of buildings reflecting various architectural styles, was built for the 1896 Millennium Celebrations. After two days of walking, your feet (and the rest of your body) could probably use a relaxing break. Budapest is famous for its underground hot springs, and there’s no better place to relax and enjoy the steaminess than Széchenyi Baths. The mineral-rich water reaches 180º F (75º C), and is said to contain all sorts of healing properties. The spa is located in a Neo-Baroque building, while three outdoor pools can be enjoyed year round due to the high temperature of the water. 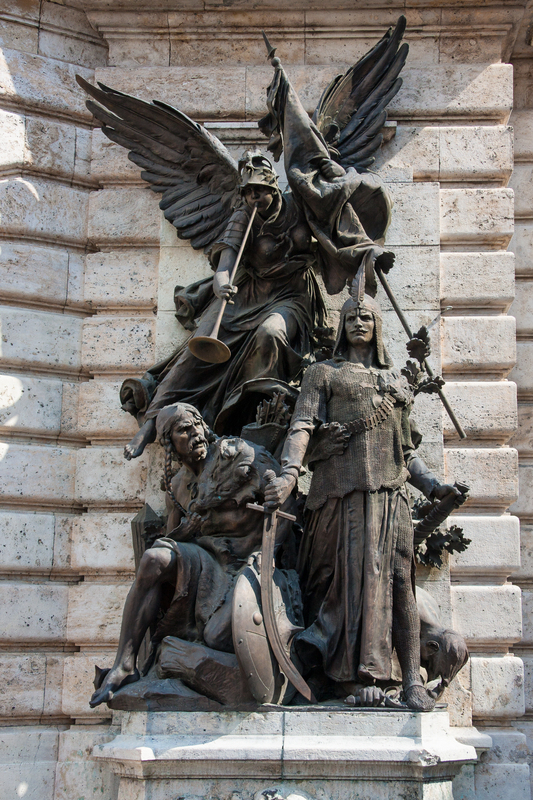 The statue of Anonymous, a notary and chronicler of the Hungarian king Bela III, is one of Budapest’s most famous monuments. His legs are polished from tourist climbing up on his lap to take pictures. Take a dinner cruise on the Danube and enjoy the sights of Budapest from the river. 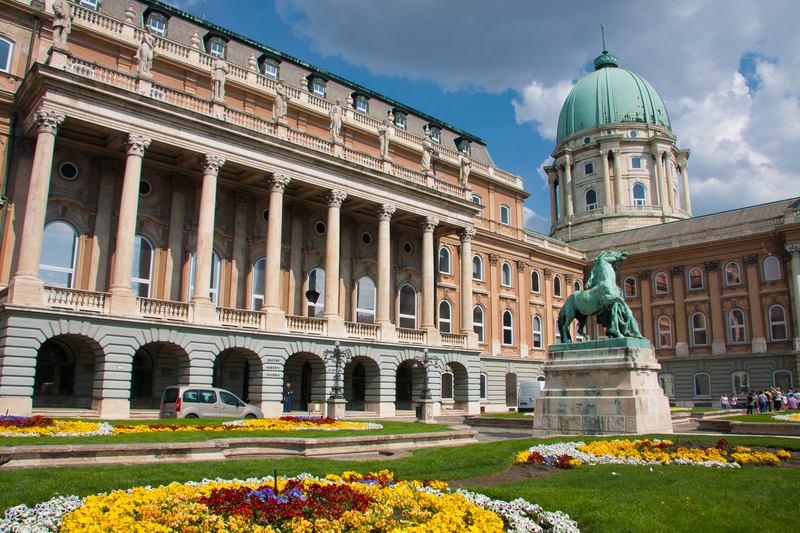 Start the day at the Hungarian National Museum, which houses many fine treasures from Hungary’s past. Head north to the Jewish Quarter and visit the Great Synagogue, the largest in Europe. The synagogue courtyard features a Holocaust Memorial in memory of the 600,000 Hungarian Jews killed by the Nazis in World War II. 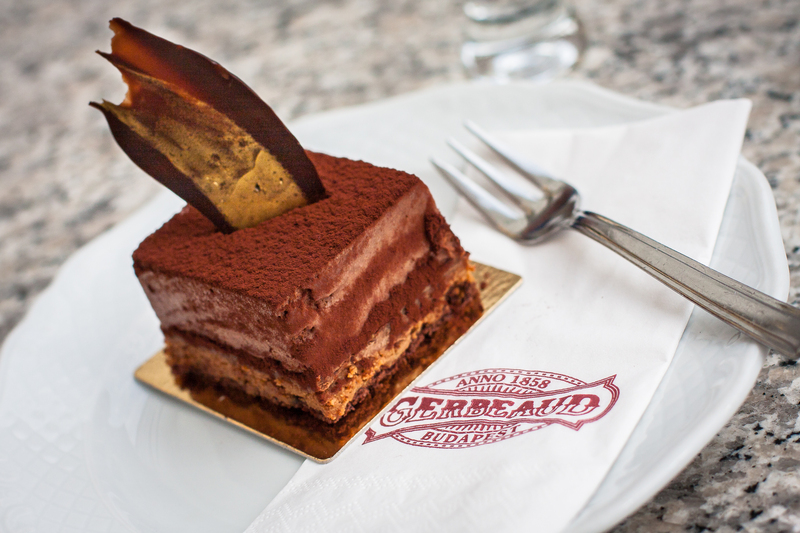 Travel on foot or take the metro to Vörösmarty tér and stop for a cup of coffee and a dessert at the Café Gerbeaud (Gerbeaud Cukrászda), the city’s most famous café. From there, stroll down Váci utca, a walking thoroughfare known for shopping and terrace cafés. 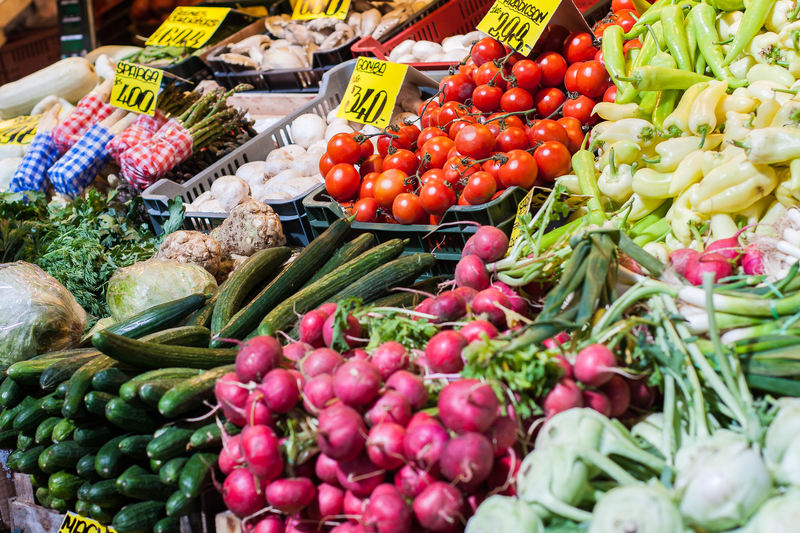 At the end of Váci utca you’ll find the Central Market Hall, Budapest’s main produce market. Stalls downstairs bustle with shop keepers selling meat, fruit, and vegetables to local patrons. The upper floor is filled with souvenir stalls. A number of food booths attract a large lunch crowd each day. If you’re up for a trek to the outskirts of Budapest, Memento Park contains the Communist monuments left over from the Soviet era. Statues that once occupied prestigious locations throughout Budapest now sit abandoned and silently keep each other company. 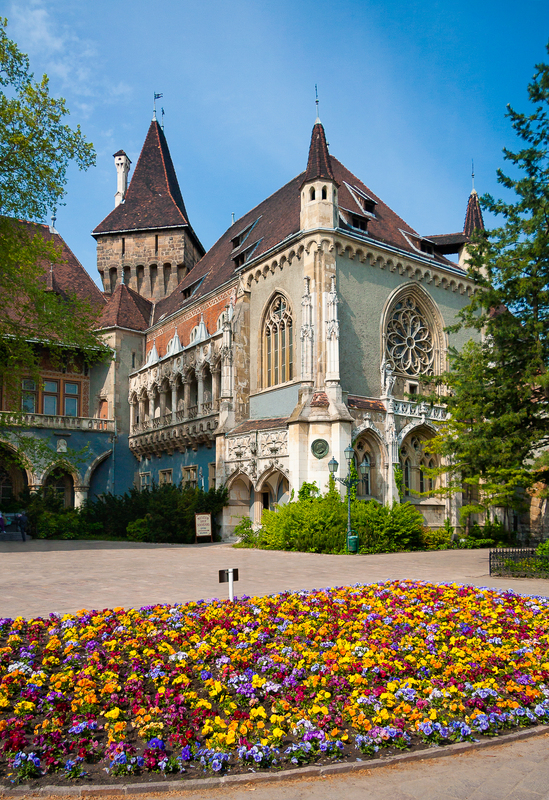 The Hungarian State Folk Ensemble at Duna Palace offers a performance of authentic Hungarian folk music and dance. It’s a great way to finish off three days in Budapest. Ready to fly to Budapest? Check out cheap flights here. Make sure you have travel insurance. For short term trips we recommend World Nomads. For long term travel, check out Allianz. Looking for a place to stay? We recommend the Royal Park Boutique Hotel in Central Pest. 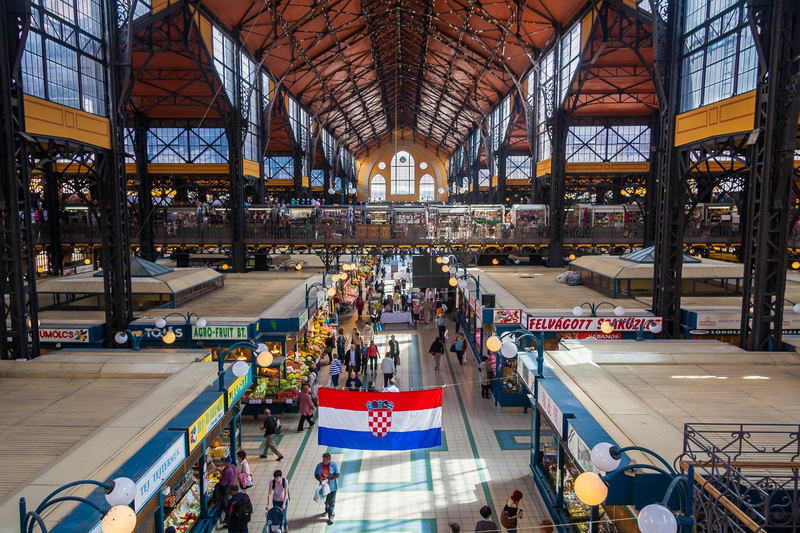 It is conveniently located to restaurants, currency exchange, a SPAR grocery, and the Keleti Palyaudvar metro station. 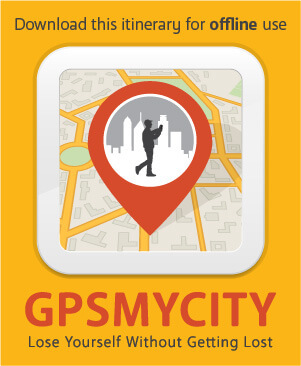 Planning your trip? Pick up the Lonely Planet guidebook for Hungary & Budapest.